For 25 years Noralee Hall has played an integral role in the growth of The Nature Museum. When I first arrived in Grafton 16 years ago, it was Noralee who helped me feel welcome by inviting me to help establish the north garden at the museum. Long before my arrival though, Noralee was a loyal member of the board and helped in the transition of the museum from the Town Hall to the Grange. Noralee has served as a director, board president, secretary, and office manager. Noralee could always be counted on to lend a hand from gardening to decorating the tents for fairy house festival, helping take tickets, making delicious treats or spreading the word about an event. 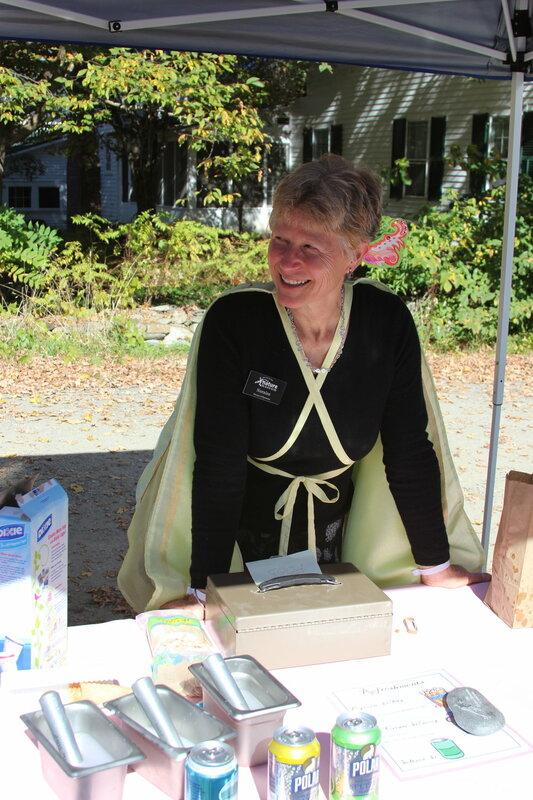 We are sad to see Noralee step down from the museum’s board, but glad that she is doing so because she is deeply involved with another hometown success, Blake Hill Preserves. We have been searching for a fitting tribute to our long-time partner and have decided to plant a tree in the front yard of the museum in Noralee’s honor. A tree is a fitting testament to a woman who helped us grow from a small Grafton museum into the regional resource we are today. Thank you, Noralee, for being our longest serving volunteer, and loyal friend, who could always be counted on to accept each task with a smile.